At Tree Works, the sheer nature of our work supplies us with an abundance of wood. As a result, we have been able to repurpose the wood that we acquire through our tree services. That has led us to offer firewood and recreational wood, which can be delivered directly to your residence. Give us a call and we can provide whatever kind of wood you need. There is no minimum or maximum on the amount of firewood you can purchase through Tree Works. We do have a minimum for delivery, although our rates are very affordable. With one phone call to Tree Works, you could have enough firewood to last you all winter. Our delivery service makes things even easier as all you have to do is sit around and wait for us to arrive. We also offer a variety of different wood. The firewood we sell comes from trees that were cut down as part of our tree removal service. 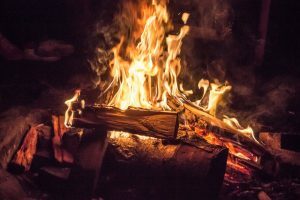 That firewood can be used in fireplaces, fire pits, or wood burning stoves. Some of our customers use that wood for heat, while others use it for cooking. At Tree Works, we do our part in contributing to the environment and that is what prompted us to recycle our wood instead of sending it to a landfill where it would not get any further use. We are very conscious of doing our part in helping out the environment and we take pride in fully utilizing all the wood we haul away from our tree removal jobs. Wood can be used for all different kinds of purposes. For those interested in purchasing wood for personal projects, we have an abundance readily available. There is something special about taking a natural piece of wood and turning it into something you can use on a regular basis. Tree Works is proud to help in this process as we have all types of wood for all types of occasions. Tree Works is ready to haul our next lot of wood to your residence. This service provides an added convenience to our customers as there is no need to get in the car, drive to our location and load up your vehicle with as much wood as it can hold. Our Fire/Recreational wood sales and delivery services in Charlotte, NC was designed with the customer in mind.